Providing a service catalog is a high value but always challenging task. It is even more challenging when IT has been outsourced to multiple external suppliers. 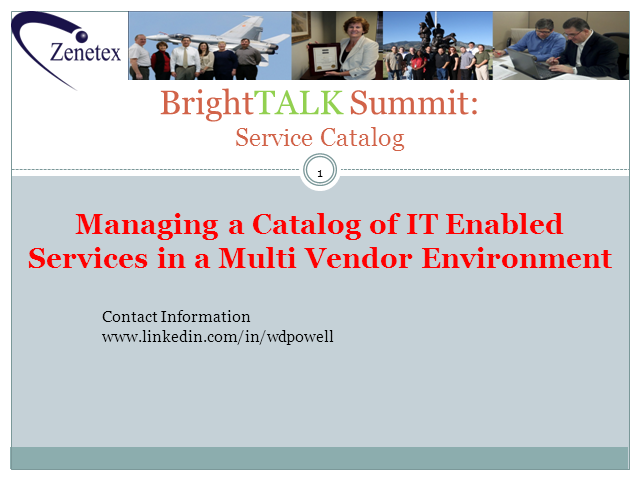 This presentation will address the base requirements for having an external supplier manage your service catalog as well the unique additional issues that have to be addressed when you have multiple external providers.